There are more lighthouses in the state of Michigan than any other state. A Michigan lighthouse map that I have shows 129 lighthouses still standing today. These include lighthouses on Lake Superior, Lake Michigan, Lake Huron, and Lake Erie. For anyone who loves lighthouses like I do, this is "lighthouse heaven". In 2007 I started a quest to photograph as many lighthouses as I could. At the conclusion of our Upper Peninsula Michigan trips I have 94 lighthouses that I have photographed. 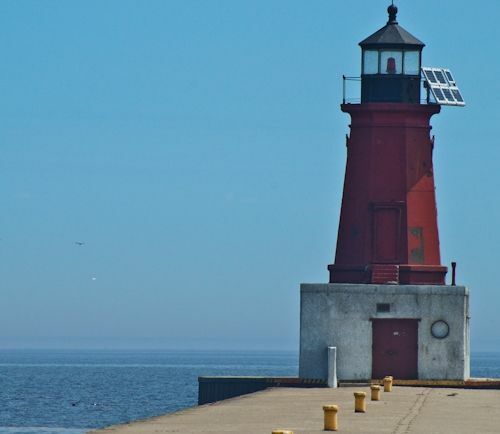 43 of these lighthouse are on Michigan's shores. Michigan is surrounded on three sides by the Great Lakes making it the perfect place for lighthouses. From the early 1800's on these lighthouse have guided ships through the shipping channels, into the harbors, and away from the rocky coasts of the area. In June of 2013 we went to the western part of the Upper Peninsula of Michigan and then in September we went to the eastern part. During those trips we photographed over 40 lighthouses. On this page I will share with you my lighthouse photos and some information on each of the lighthouses. Since lighthouses are so popular in Michigan you find the name "lighthouse" used in many names of stores and restaurants. You also find lighthouses used for decorating and for memorials in parks. The lighthouse in this photo is a modern lighthouse found in Van Cleve park in Gladstone Michigan. The first town we visited when we enter Michigan from Wisconsin was Menominee. I had heard there was a pier lighthouse so we stopped at the visitors center to ask directions. The light was easy to find on a pier sticking out into Menominee harbor. It appeared to be in need of painting and I decided to walk out on the pier to get a closer look and to take some photos. As I exited the car, I was greeted by some pesky bugs. Not thinking much about it I took out my camera and headed down the pier. The bugs (at that time I wasn't sure what they were) continued to flock around me. I got about halfway down the pier and the bugs were everywhere. I took a few quick shots of the lighthouse and proceeded to walk back to the car. My husband, smart man that he is, had stayed in the car. When I got to the car, I noticed it was black in parts from the bugs. My husband quickly started the engines and we pulled to another side of the park where he pulled over. We then started killing the bugs, which we found to be mosquitoes. They were everywhere in the car. We learned our lesson and at the next town I stopped and bough some insect repellent. We did encounter mosquitoes on the rest of the trip, but nothing like our experience in Menominee. I did stop to read some of the signs as I entered the pier area and discovered the light station was established in 1877 and the current light was put into operation in 1927. Note: One of the visitors to this lens let me know that those were probably "bay flies" and not mosquitos. I'm always learning something new. 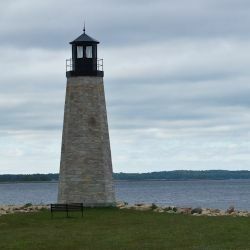 There are so many lighthouses in Michigan, a good guide is necessary to help you decide which lighthouses to visit and to help you find your way to the lighthouses. 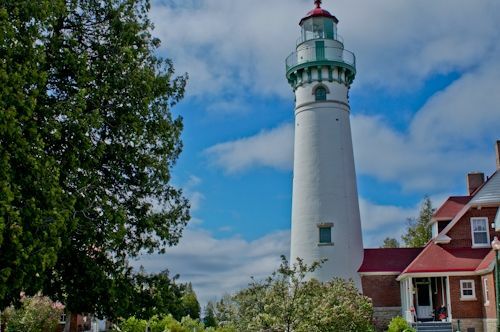 This guide is very helpful in discovering Michigan lighthouses. A great guide to the upper peninsula. There are so many great trails in Michigan's UP. This guide will help you find the right ones for you. One of my favorite lighthouses during our stay in the Upper Peninsula was Sand Point Lighthouse in Escanaba. The lighthouse is open to the public for tours and I took the tour and climbed to the top of the lighthouse. The view was beautiful as I was able to look all around the harbor. 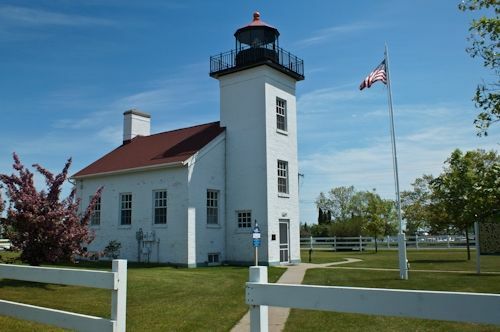 I found out the lighthouse was first put into use in 1868 and guided ships into Escanaba Harbor until 1939 when it was replaced by an automated light out in the water. 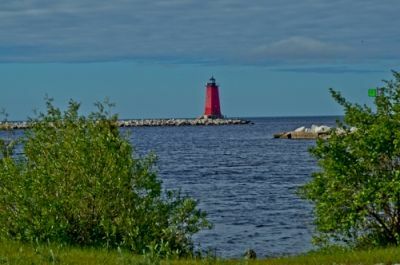 Since we were staying the night in Escanaba, I was able to come back in the evening to photograph the lighthouse and I went to a small park across the harbor to shoot a view more photos. While we were in Escanaba we visited a local wine tasting room and had a very enjoyable time talking to the owner and tasting the wines. If you visit Escanaba I would recommend a stop at Leigh's Garden Winery. The lilacs were in bloom in mid June when we visited. Here is a photo I took of the lighthouse with the lilacs in the foreground. This beautiful historic lighthouse sits on the shores of Lake Michigan in the southern portion of the Upper Peninsula of Michigan. 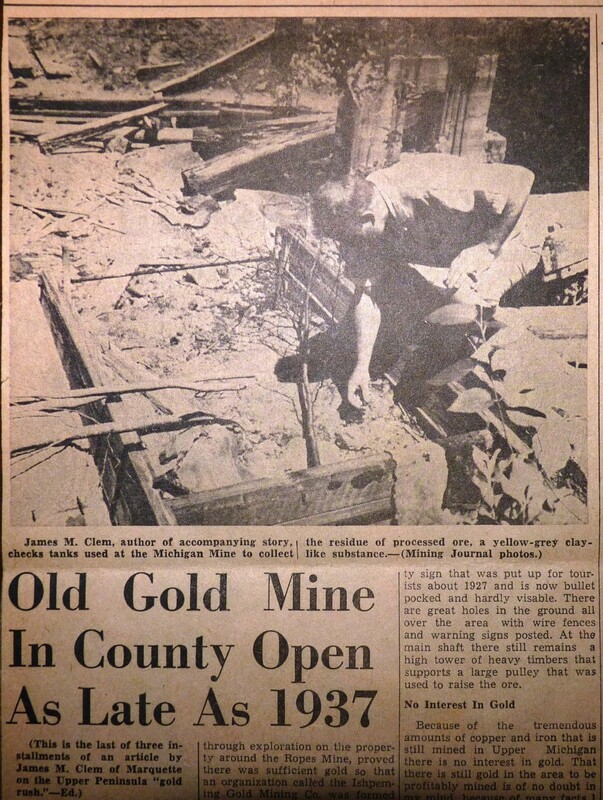 It is just east of the town of Manistique outside of the town of Gulliver. When I visited the lighthouse I took a tour of the lighthouse and the grounds and learned a bit of it's history from the tour guide. It was built in 1892 and helped to guide the French and Native American fur traders through the rough waters in the area. Today it is still operational to help fisherman and others who sail the area. I particularly like the way the lighthouse is painted. The green railings give it a different appearance from other lighthouses and make it instantly distinguishable when I look at my photos. It was a beautiful day with quick moving clouds on the day I visited so I was able to get several different looking photos with the bright blue skies and the puffy white clouds. Range lights help ships that are entering channels by working in combination with each other. I have seen several range lights along the shores of the Great Lakes. They consist of a variety of types of lights and include a front and a rear range light. It is always a challenge in finding these lights, or at least finding both the front and the rear. One is usually easy to find and the second one somewhat hidden. 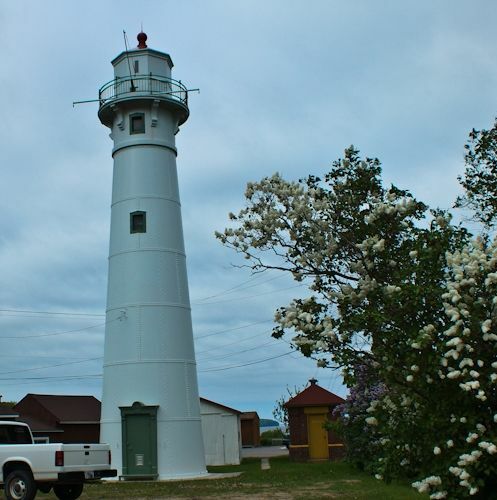 This front range light was built in 1907 and is still in operation today guiding ships into Munising harbor. It is not open to the public but can be viewed and photographed from the street and a parking lot for a nearby business. The brochure for the area states that restoration is planned for this light. Grand Island is about 1/2 hour off the mainland near Munising, Michigan. 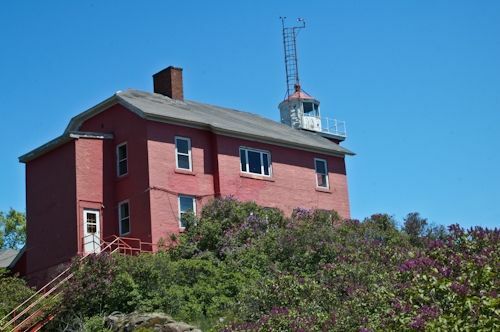 The lighthouse at the Grand island East Passage does not have public access but it is shown by several of the boats tours that go to see the famed picture rocks. 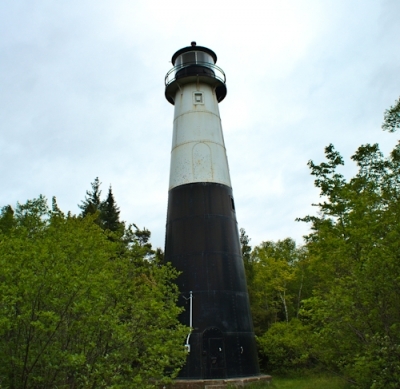 The lighthouse was first put into operation in 1867 to warn ships of the narrow passage into Munising Bay. There is an overlook across the road from where the boats leave and my husband and I took the winding drive up the hill to the overlook. From that overlook I was able to photograph the lighthouse. It was a kind of cloudy day and I needed to use my 35x zoom lens on my Canon SX40 to get the shot. I was happy to be able to capture an image of this much photographed lighthouse. In the photograph you see the lighthouse on the shore of the island and in the back right hand side you can also see the picture rocks. I love using my Canon SX40 when I need to photograph something in the distance. In the photo above I was more than 1/2 mile away when I took the shot of the Grand Island East Passage Lighthouse. This lightweight camera has a powerful 35X zoom. The lighthouse in Marquette sits high on a bluff overlooking the harbor. It was first lit in 1866. Today the light is located on Coast Guard grounds. There are tours that the public can take of the grounds and the lighthouse. I photographed the lighthouse both from the grounds and also from a nearby beach. This photo was taken from the back side of the light and shows the beautiful lilacs that covered the hillside. During our September 2013 visit to the Upper Peninsula we visited the lighthouse at Point Iroquois. This lighthouse is found in the north eastern section of the UP, just a few miles west of Sault Ste. Marie. The light tower and the original portion of the keeper's house was first built in 1870. During our visit to the lighthouse, I learned that this lighthouse was needed to guide freighters safely between the waters of Whitefish Bay and the St. Mary's River. This portion of Lake Superior was especially dangerous because they often had bad weather conditions and there was a lot of freighter traffic due to all the ships approaching and leaving the locks at Sault Ste. Marie. The lighthouse today is beautifully restored and very accessible to the public. There is a trail made of wood planks that makes a huge loop around the grounds. I followed this trail and was able to photograph the lighthouse from several different vantage points. 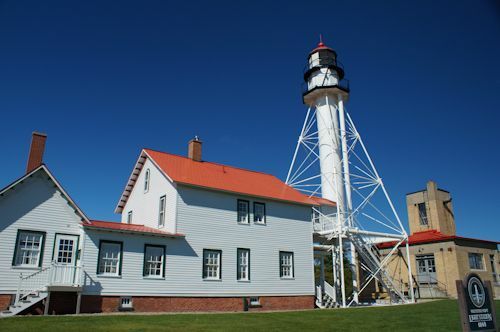 Whitefish Point is Lake Superior's oldest still active lighthouse. 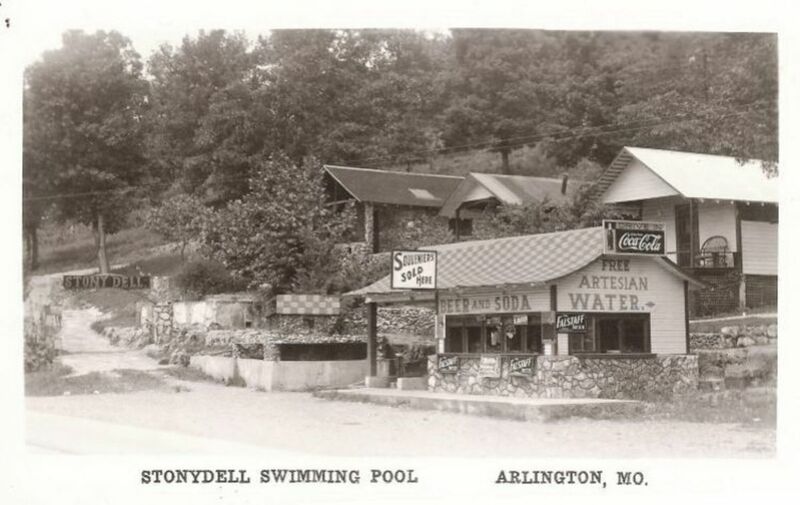 It was first constructed in 1861. The grounds at Whitefish Point are now a very attractive tourist destination. They include a Shipwreck Museum, the Light Station, a Lifeboat, a museum store and even a restored place for overnight lodging. During our visit to Whitefish point, I strolled the grounds taking photos of the various buildings and the light station. The light station is different looking from many I have seen. 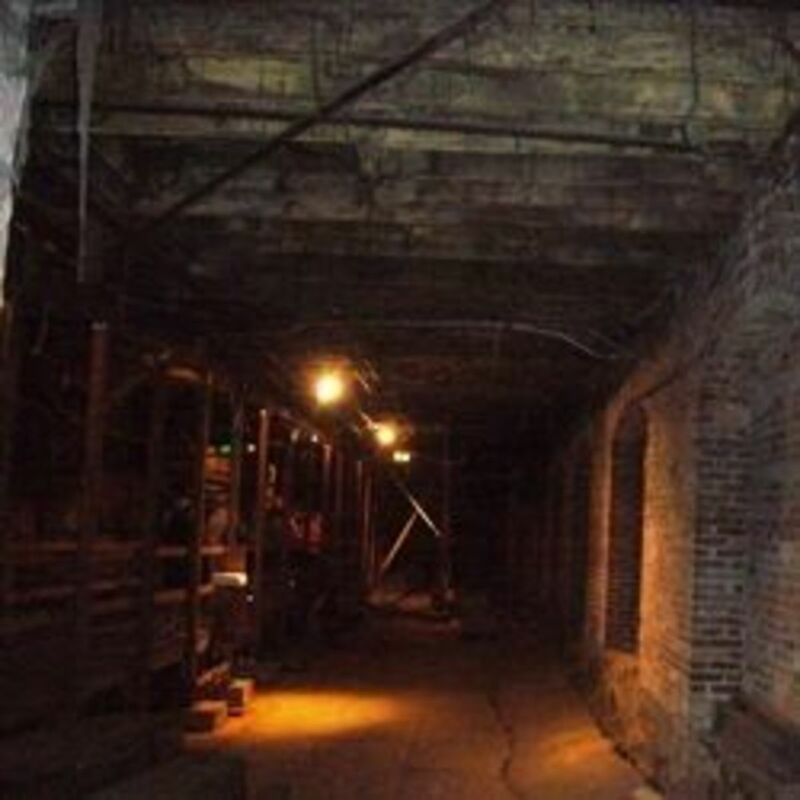 It has a covered walkway that attaches to the light from the second story of the keepers house. This allowed the keepers to service the light during bad weather without getting outside in the elements. I enjoy bringing home something to remember the lighthouses that we visit. Here are a few gift ideas from the lighthouse of the Upper Peninsula. I love this garden flag. It has several lighthouses I have visited. Beautiful handpainted stained glass hanging from Sand Point lighthouse in Escanaba. I love to collect lighthouse miniatures. Here is one from Seul Choix Point lighthouse. @Ruthi: Ruthi There is a really cool lighthouse in Holland called Big Red. Perhaps that is the one you visited. Way back in 1999, I visited my brother who lived in Holland, Michigan at the time. We visited a lighthouse but I'm not sure of its name. I'll have to dig through old photos and see if I can find it. No I didn't. We've visited many lighthouses, but haven't been to Michigan yet. 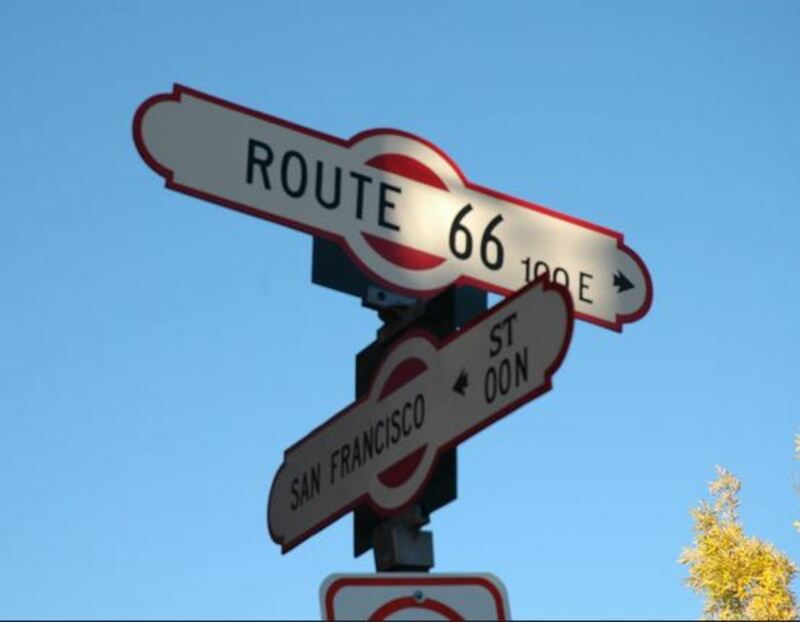 Working our way through the states I hope we have a chance to visit some of these. Very nice! Thanks for sharing. I'm planning a quickee trip up to the UP from Milwaukee so your tips and photos will be very helpful in deciding where to go! @Titia: Thank you for your comments. Since this was a lens on lighthouses, I edited to put the lighthouse in the best light and sometimes that made the horizons a bit off. I appreciate your interest and I did go back and review each photo...I am changing the one on the Menominee Pier light but the others are the way I meant them to be. Thanks again for your comments. Nice lighthouses, I love them too, but I think it's a pity that almost all horizons in your photos are crooked. With today's photo editing programs it is so easy to fix that. 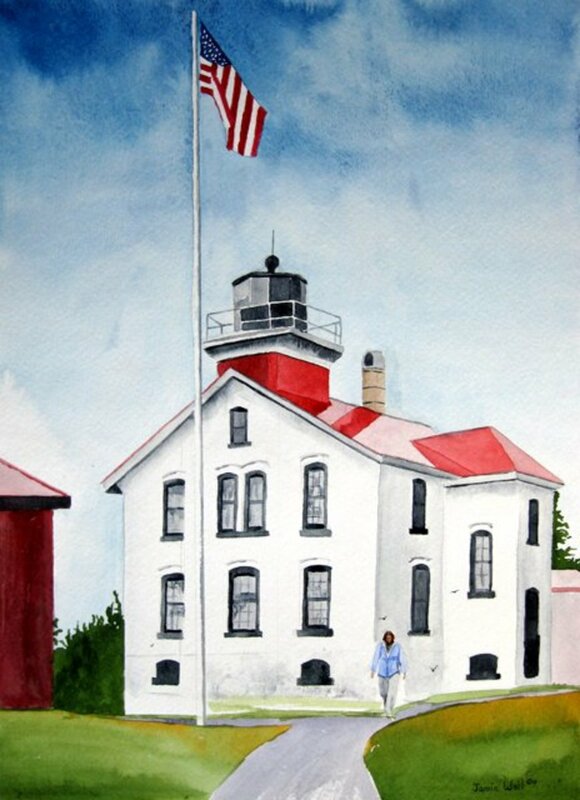 Great to see your page - grew up in the U.P., and just love the lighthouses. There is one that is my favorite,however (mostly because of the area) its the lighthouse at Bette de Gris, on the Keewanaw. I`d really like to see a picture posted, if you can. Thanks for a great site! will probably be a year or 18 mos before we can make it. I loved you article. As a life-long lover and brand new resident if the UP, I would like to invite you to the Western UP. We have some of the most magnificent lighthouses, and surely the most threatened lighthouse, in Michigan. The point Iroquois Light outside Bay Mills (&amp; one mile from my home where you are welcome to stay!) has an illustrious History. 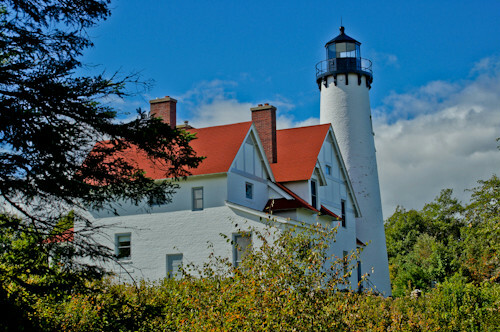 Crisp Point lighthouse in Luce County is one of the most endangered, and, hence, one of the most fiercely defended lights in the state. Also the most remote and worthwhile! Then, there is Whitefish Point Lighthouse, with the adjacent Shipwreck Museum. The Edmund Fitzgerald is heralded there. Do come back! We love your photos &amp; we love our lighthouses! were just terribly annoying. Thanks for the clarification. A couple of my favorites are Eagle Harbor in the UP and Big Red near Holland. @anonymous: I have been to both of those. Holland is definitely one of my favorites. Love the architecture on Big Red. Are you sure the bugs in Menominee were mosquitoes? I'm from Menominee and from what you described, I would say the bugs were bay flies. They are almost as annoying as mosquitoes and they like to land on cars. Mosquitoes don't really land in clusters on the vehicles. If it was spring when you were there, that is when they are at their worst. Wow, is all I can say. 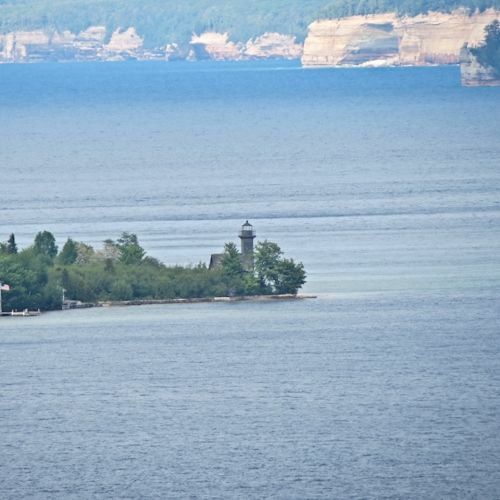 The Grand Island lighthouse photo is spectacular with the Pictured Rocks in the background. You should try to sell that one to a magazine. I haven't seen most of these lighthouses except for the one in Marquette.